You can get a WIP report by heading over to the reports tab and running a Report on billable and uninvoiced time. This can be done from the Options button. You can select any of the other filters you might want too. For example, you want to run a work in progress report on all users for the ‘Guides’ Project last week. You can run a report and then export it for payroll purposes. To do this you would use the filters to select all users time for the time period your payroll covers. For example, your employees are paid on the 19th of each month, you can run a report on all users time between Dec 19th and Jan 18th. You then export the user chart to CSV. If you need to see time for a specific User/Contact/Project/Task then you would change your filters to the time you want to see and run a report on your chosen User/Contact/Project/Task. For example, you want to see all time for the Contact MinuteDock. Sometimes you have activities that you do not charge for, this doesn’t mean that you don’t want to track your time spent on it. 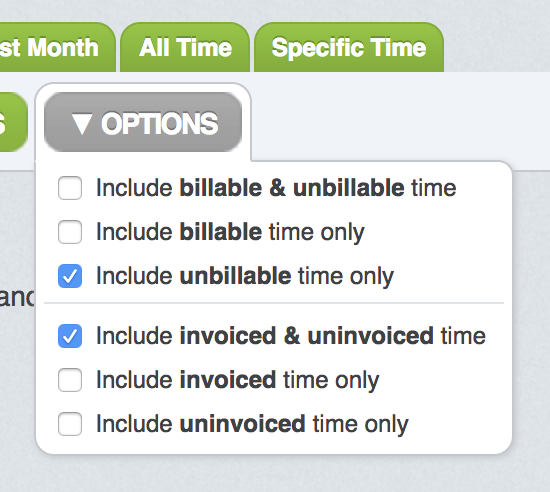 To run a report on this you would select your chosen filters and then in the options filter select unbillable time. 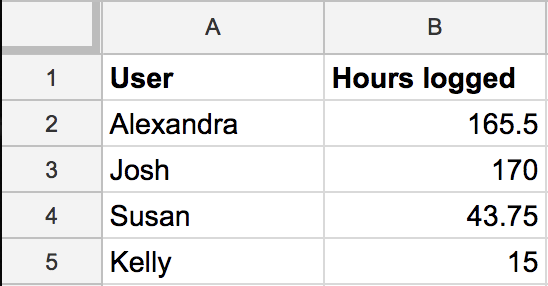 For example, You want to see all unbillable time for all users this month so you can monitor what unbillable tasks/projects your team need to spend less time on. As a business you might want to see all of your time logged, to do this you would select all filters to show ‘Any’ and then choose the tab ‘All time,’ between 'last month' and 'specific time'. For example, you might want to see an overview of how time is spent across the company so you can see where to improve.